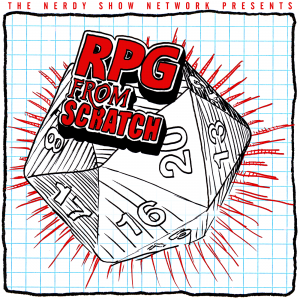 Nerdy Show –RPG From Scratch :: Design Episode 3 :: They Took the Moon! RPG From Scratch :: Design Episode 3 :: They Took the Moon! In our third episode, we discuss the currency system of our world. Is it based on credit? Bank notes? A natural resource? What is our Moon situation? Do we still have one? What special exception to the game rules is at the Core of a Path? What makes them unique in a way that will matter no matter how powerful your character gets? We also give each non-Human race their own per-Scene attack, really making them feel unique!